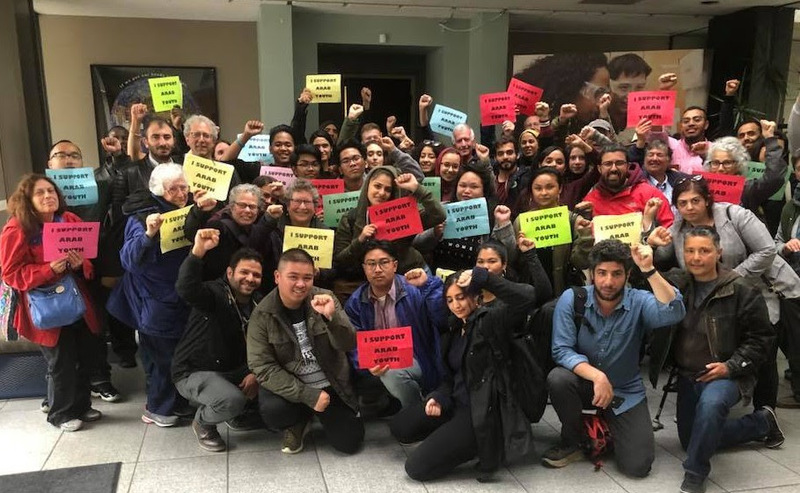 Arab Resource and Organizing Center | Arab Community Wins in the Face of Racist Attacks! In a time of increased attacks on Arab and Muslim communities, the San Francisco Bay Area wins major victories against racism. And after three years of organizing, AROC, the only Arab organization providing services to Arab youth in San Francisco regained its right to work in SF public schools! The SF Board of Education voted 6-1 on May 22, 2018 in favor of renewing its agreement to continue allowing AROC to provide cultural, linguistic, and academic services to Arab youth. This came after years of Islamophobic and anti-Arab attacks by the Zionist organizations, the Jewish Community Relations Council and the Anti-Defamation League. These groups have a long history of targeting local community-based organizations, particularly those led by people color, when they express solidarity with Palestine. Learn more here. May 15, 2018 marked the 70th year of the Palestinian catastrophe, the creation of the state of Israel when close to one million Palestinians were forcibly displaced from their homelands. The Alameda County Board of Supervisors proclaimed May 15th Palestinian Cultural Day. As we have seen the Trump Administration ally itself with Israel, and their partnership resulting in the massacre of over 100 Palestinians in last few weeks, this win is ever more significant. These victories are crucial for the Arab and Muslim community, particularly in these difficult times. Let us continue to win against racism and xenophobia, and build the world we envision for all oppressed people to live in dignity from here to our homelands.